I’ve found that it’s easiest not to listen to complicated books at work. I get too caught up in the story and slow down or else I get caught up in the work and get confused as to what happened in the story. The solution is to either listen to things I’ve already read – such as Haruki Murakami’s Sputnik Sweetheart, this week – or to listen to regular fiction. No mystery, no intrigue, no tension ramping horror (because if you miss a step on that tension ramp it can all just fall apart), no intricate worlds or futures – like Rainbow Rowell’s Attachments, which I finished today. I loved Sputnik Sweetheart as a read novel, despite its lack of action and ponderings about romance. I love the voice of the narrator and the way he thinks about life, his isolatedness and his deep friendship with Sumire. The reader for this audiobook, Adam Sims, does his voice perfectly. I hope that guy does more audiobooks for sure. With this listen-through, I’d forgotten the sexual nature of the book, but though that could be somewhat uncomfortable (especially at work!) it fits the theme well. Like many Murakami novels, it’s the surreal aspects that seep into normal life that make it the most interesting story, though. I have a lot of theories about what happened with that ferris wheel ride and about the disappearance… I love how his stories can work on multiple levels. As for Attachments, that had another great reader, Laura Hamilton. I highly recommend her collaboration on Bruiser! Anyway, another great voice for this story, though I was surprised at first that a book primarily from a guy’s point of view would be read by a woman. It makes a lot of sense, though, because I wonder if his thoughts really more align with what the love interest would have wanted a guy to think about, rather than what a typical guy would? He’s pretty much set up in opposition to how most of the other men in the book think about women. I spent much of the book trying to decide if he was really sweet or really creepy – since he is hired to read “inappropriate” e-mails at work and warn or flag people, stumbles across Beth’s, begins to enjoy her words, then fall for her through his electronic eavesdropping… All without her knowledge. It’s a bit stalker-y, you know? 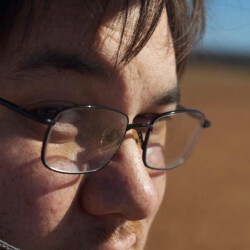 But we also see that he is a really nice, caring guy and that he’d be a good match. I wasn’t sure how this book would turn out, but was greatly relieved when they started addressing that this wasn’t really cute, that it wasn’t really right… Of course, that added to the tension of whether the two would ever meet and actually want to date or whatever, but by the time that happened it mattered less whether they did or not. Because, yeah, while the set-up seems to be unabashedly a romantic comedy movie (characters even reference this) it’s also very much about introvertedness and social awkwardness and learning to grow up. It doesn’t matter if he never meets Beth face to face, or if he falls for another girl. We’re following his journey from a wounded, insecure man into someone who realizes he can be liked and loved and can make it on his own (though, honestly, it would have been nicer if he hadn’t apparently been super hot, unknown to him). We’re following his journey into confidence and that really just makes for a feel-good novel. Basically, it was the perfect thing to listen to at work. The end was maybe a bit much for me… But it was fine. 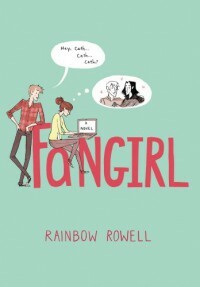 At any rate, after hearing this novel and reading Fangirl, I’m really impressed with Rowell’s explorations into introversion and social awkwardness. I like that her characters learn to make lives for themselves and to carve out happiness and socialness that works for them. Perhaps it seems like Lincoln changes a lot in this book and becomes much more social, but I really think what we’re seeing here is him moving away from depression and fear and becoming confidence in his ability to have friends. 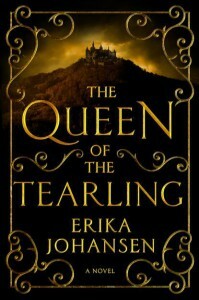 I got another free egalley from Edelweiss because a coworker said I HAD to read The Queen of the Tearling and, though it’s pushed my TBR pile back even further, I’m glad I did. It was an interesting novel. It kind of reminded me of Sheri S. Tepper in theme, if not in style. So, setting the stage here, The Queen of the Tearling is a post-apocalyptic fantasy with this thin, but strong veneer of science overlaying it. It’s our world, but something happened hundreds (I think) years ago and the survivors crossed the sea to find new homes. We don’t know what happened and why the U.S. was hit so hard – just that the current characters are descended from Americans. We also don’t know how they received or claimed new land either. They seem to be on Earth, still, but there isn’t any real indication of where they actually are. Anyway, our protagonist is the young heir of the kingdom of Tearling. This is a tiny land that is greatly overshadowed by a powerful and cruel neighboring nation. The heir comes of age at the beginning of the novel and must sneak back to the capital and be crowned before anyone can assassinate her because the Regent does not want to give up his power. She’s been trained to govern every day of her life, but many secrets have been kept from her – pretty much anything about her parents and everything to do with a mysterious treaty with that scary country next door. Oh yeah, and magic seems to exist now, for some reason. There are many things that are unexplained. Now some of this really ramps up the tension – not that we needed it with assassinations and plotting and noble rescues of defenseless commoners and magical happened and such are going on – but some of it just seems… coy. I imagine the rest of the history will be doled out in subsequent books (more is definitely planned to come), but more could have been explored now as well. I understand why we don’t know much about current events since our hero doesn’t know any of this stuff. However, it seemed like she does know the history, so I would have liked to get that. I think it would have enriched the story because it would allow the reader to focus on the current mysteries instead of having their brain niggled wondering about the past. I had to give the book four stars because it just felt a little unpolished to me. However, it’s a debut novel and, of course, it was an egalley so not necessarily the final form yet. The published copy may not have the rough edges. Characters ponder a decent bit about the protagonist’s father and how his bloodline must have affected her greatly since her mother’s side of the family is pretty… not impressive. Of course, I kept thinking, “Well that probably has to do with the two people who raised her and their education and philosophies and ethics and parenting skills…” but I don’t recall anyone in the book thinking that at all. Just that she shows the injection of hood blood into her family line. A major place where this scientific feel shows up is in the discussion of religion. The Christian church does still exist in this future – not just the usual cruel monotheistic religion trope, but the actual Christian church. Even before we find out it’s corrupt, there’s plenty of discussion about the detriments of the religion on humanity. Living where I live, I will have to be somewhat careful about recommending this book to patrons because I live in a rather religious part of the country. Not only would this offend some of my library customers, but it also might strengthen the “science hates religion” fallacy that people have. The character does meet a non-corrupt church fellow, so it begins to equalize a bit out later. It will be interesting to see where the author takes this in future books. This second book in the series was nearly as entertaining as the first. I really enjoy the eastern European feel of the world and the gypsy culture that's been created for novels. 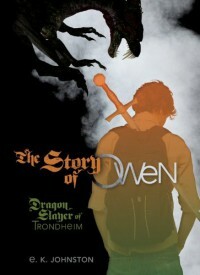 Overall, it's a quick fantasy read with a slight darkness. It's the kind of book that flows along so well that it really just takes an afternoon to read. This time the sisters are tasked with discovering what is changing soldiers into crazed, wolf-like beasts who wreak havoc on a mining camp and stop production. It explores some of the more tragic histories of company towns and soldier camps while also maintaining a good level of excitement. This time around the sisters powers' seem more to fill in the gaps than to be vital to solving the supernatural mystery. I think one of the things I love most about the series so far is that the sisters each have different strengths and approaches to the world, but are still both very heroic. At the same time, each sister has realistic doubts and understandable belief in their sibling's traits. I guess I just really like that these different attributes are all very valuable, despite how the characters may feel about themselves. You know, in a lot of fantasy the heroines seem to feel like they're too lacking in this or that, so having this polar opposite sister that can see the strengths is kind of refreshing. I actually took advantage of a librarian perk and got ahold of some e-galleys from Edelweiss. Unfortunately I didn't pay attention to publication dates, so I had to get on this book right away even though there were some other things I was burning to read... But it's not so bad because this book was a fun read. I haven't read any translated Chinese books before, so I don't know if this novel is typical of Chinese literature or not, but it certainly had elements that I wasn't used to. For instance, it seemed like a lot of the major events just sort of... end... without explicitly resolving anything. Apparently things are resolved, seeing as how the characters move on with their lives. Speaking of characters, the blurb for this book made it sound like the epic quest of an exiled Pacific Islander boy and a grieving Thai woman and their search for her missing family. This is actually a very small portion of the story and only a fragment of the characters in this book. Rather, the story follows many characters and through quirky, though sometimes tragic, arcs as people deal with trash-laden tsunamis and their aftermaths. It's actually rather hard to explain what the book is about without detailing each step of the way. I guess I'll just say that it's an interesting exploration of Thai culture and the interaction with indigenous populations and it also explores the power of the stories and myths and memories we create for ourselves. It's a pleasure to meet the characters and explore their lives, even if the focus sometimes seems a little strange (I'm assuming this arises from cultural differences). Pick this up if you enjoy surreal, quirky tales and a taste of other cultures. Take a Chance and Read This! The set-up sounded interesting -- a teenaged girl has an argument with her father and gets out of the car, wakes up in an alley, and finds out that five years have passed. She doesn't seem to have aged and everyone else has moved on with their lives. What I didn't realize is how intense the book would feel to me. I loved everything about it -- from the thriller and mystery aspects as Kyra tries to discover what happened and feels stalked by mysterious people to the emotional aspects of dealing with all the changes with her friends and family. She may intellectually understand that five years have passed, but it still feels like it was just a night and that is tough. Derting makes it all feel so real. I even rather enjoyed the instalove thing. That usually drives me batty, but the two of them just seem to work together so well despite numerous issues that should make it strange or even a little bit icky feeling. I suppose I also can't help but enjoy a relationship where someone is really to care about and respect someone no matter what issues there are. I don't really want to talk about the plot too much because I don't want to explore any of the excitement -- there is plenty that you'll probably figure out ahead of time, but in that way that makes you feel like, "Poor Kyra! You just aren't getting a break..." and not in a "Geez, why do you have to be so dumb? Can't you see this?!" I noticed that some of the reviews on Goodreads had issues with the level of description in the novel -- as in, they thought it had too much. Me, I thought it was the perfect amount. I felt grounded in the real world -- something I needed as the book takes a left turn into the unknown. The language was simple, yet beautiful. I'd love to hear what you think of the book if you give it a shot! 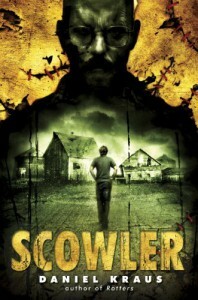 What to say about Scowler… It’s definitely a five star audiobook. But I won’t recommend it to anyone ever, probably. I have a hard time recommending… difficult… books. I’d have to be very sure that someone wanted to read this type of story. The other thing is that I don’t know how some of this works on the printed page. The reader was just so good and some of the noises he made… I really wonder what they looked like on the page. Could they have been half so chilling? There are no aliens at all in this book. There is a hint that there could be something supernatural, but it seems much more likely that it is psychological. Basically, a family is terrorized by an abusive father, he gets sent to prison, everyone gets older… And then he escapes during a meteor shower and comes home to threaten everyone. The twist (not a spoiler, as it’s mentioned on the back cover) is that the main character called upon his imaginary friends to help him survive and may have to again. One of those friends is... truly horrifying. Each member of the family is a fully complete character. I feel like I know them well and so every peril, every tragedy… It hits hard. There are parts of the book that made me squirm uncomfortably. There are parts that made my skin crawl and my legs tingle. My heart raced. My stomach sunk. I was shocked, I was horrified, I was struck by hope… And shocked again. Maybe this audiobook was just too intense for me, hah. The first you should know about this book: it's ridiculously entertaining. As you can probably guess from the cover and title, this is a twisted Oz tale. Dorothy somehow made it back to Oz and something... broke. Her sweetness gained a nasty bite that no one is safe from. It's a world where you need to be happy, no matter what horrors are inflicted on you -- and death is the only easy way out. There are tin cyborgs and other lab-created monstrosities, magic strip-mines, and all manner of terrible things. Almost everyone we know and love from the stories has been twisted... And those that we hated? It's possible they may be the only salvation for Oz. Our hero, Amy Gumm, is whisked to Oz via tornado (and that was a bit of surreal reading for me, seeing as how tornado season has just begun here). She's been made to feel like a nobody by her classmates, her teachers -- even her parents. In Oz, however, she quickly becomes somebody. Unfortunately, people are certain that this somebody is a person who will murder Dorothy in cold blood. Amy struggles with this, but Dorothy's atrocities add up quickly. The plot is the other place the book really shines. It takes many familiar elements, shakes them up, and lines that Yellow Brick Road (*ahem* road of yellow bricks) with a story that's impossible to put down. Amy's journey is a paranoid (she's told again and again to trust no one) race to to figure out who she is inside, how to believe in herself, and... to kill Dorothy. I think you can expect to see a post about the prequel novella soon. 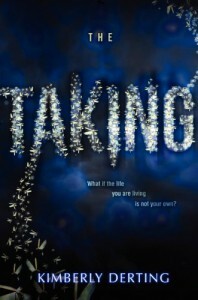 First I want to read another book from the Dark Days Tour, though -- Kimberly Derting's The Taking. She made it sound fascinating last night! Wow, I guess it’s been a really tough semester seeing as how I haven’t posted since it began… So many books have gone by without remark. 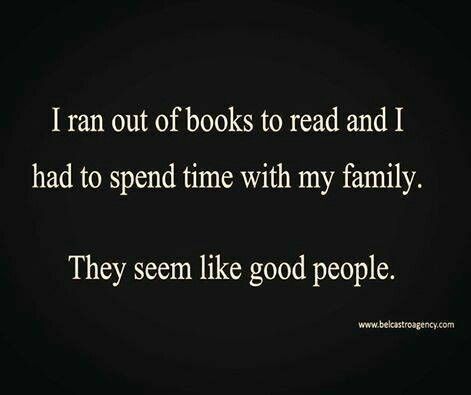 Ah well, just trust me when I say there have been many great reads these past few months. 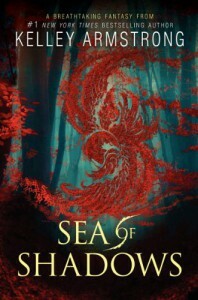 Today I’ll be talking about Kelley Armstrong’s Sea of Shadows. I had to make sure and read it quickly because she was visiting Oklahoma (last night actually). Right off I’m going to say I really enjoyed it. I’ve seen people complain that it was slow, but I didn’t think so at all. Of course, what tends to excite me are origin stories and world-building – and really, how can a book that features creatures based off of Mongolian Death Worms be slow?! So, the quick: The dead rise, myths come to life, and an unseen enemy orchestrates the destruction of everything Ashyn and Moria know. The not so quick thoughts: I think the book’s greatest strength is its mythology – this is what holds everything together. The setting, characters, culture… It all creates one unified picture because of the mythology and it doesn’t matter whether the characters believe in it or not. Armstrong says that the novel is based on Japan. You can definitely see touches here and there (one of the character’s names, another’s clan, some of the weaponry, etc), but she adds a lot of originality to it and also adds bits and pieces from other mythologies in the world. Being me, it’s great fun to see if I can pick out which tales spawned different elements. She said that a great source of inspiration for her was Japan’s “Sea of Trees” – a forest near Mt. Fuji that is very silent, beautiful, and eerie and is known for an exceptionally high rate of suicides. In Sea of Shadows there are exiles in the wood who are meant to die, rather than suicides, but regardless there are definitely restless spirits! So, there is a set of twins whose job it is to keep the forest quiet – one to go in and quiet restless spirits and one to stay behind and protect the village. The pacing of the book is even, the cliffhanger satisfying, and the characters enjoyable. All in all, a five star book and I can’t wait for the sequel. 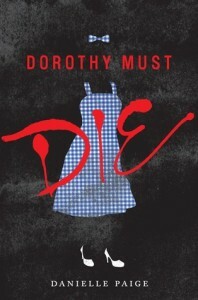 Next up: Dorothy Must Die by Danielle Paige. She's another author who was on the book signing tour. I had a difficult time getting into this book, but I'm glad I pushed through the first few chapters until I got to the much more satisfying meat of the story. There was something about the world building at the beginning of the novel that just didn't work for me. This is kind of strange for me, because I usually adore exploring new worlds or societies, but this one... Perhaps it just felt too much like window dressing for me. The factioned society was interesting, but I couldn't see enough of why things would be this way and why people would believe that they were so fully one trait and none of the others. Surely it would be obvious that we are all mixtures of many traits -- and traits that go far beyond just these random seeming five. So... Why was it these five factions? And why did they manifest in the way that they did? At first blush it seems like we have the Pushovers, the Sociopathic Thrillseekers, the Cult of TMI, the Coldest of Intellectuals, and the Don't Worry, Be Happy Crowd. And people are happy with this and it somehow creates a happy, healthy society? How does such a brief brain test by apparently common labor determine people so fully who people are? 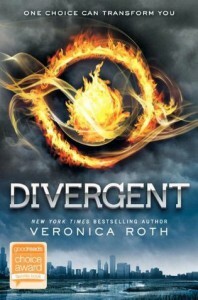 However, eventually we get past all that and we start learning much more about who Tris is and how she faces the world. She is an admirable individual and I want good things to happen to her. Her actions are a lot more logical than her world and I start to suspect (or maybe hope) that the world building isn't sketchy, so much as foreshadowingly broken? My only real gripe after the book gets going is one character's well nigh invisble slide into utter insanity... He deserved better than that. I'm interested to see where the series goes and to find out what happens to Tris and the people she cares about. I'm assuming the latter books will be more easy for me to get into since the setup already appeared in book one. I guess after spending so much time on why I didn't like the beginning of the book, I need to spend more time convincing you the rest is worth reading, huh? I guess what I enjoy most is the view into the way Tris reacts to the world. The first person viewpoint sometimes gets in the way of this a little bit, but overall her personality shines through and you can start to predict, little by little, how she will react to things. This is good, because she feels like a real person (a very special, skilled person, but real, nonetheless). Her secondary character, Four, also brings a lot of interest to the story because as the readers, we can see that he knows much more than he's letting on and we can understand his motivations much better than Tris can. The camaraderie of the Faction is great to seem, when it's allowed to show through, and the callousness from the other side of the coin is very chilling. The world-building, when in the close quarters of one base, is much better here. At first glance Fangirl might not seem like the sort of book that would resonate with me at all. 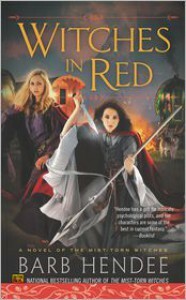 The characters are a lot younger than me, there are no dragons or aliens or murder, the protagonist is female (which only ever matters in terms of some problems I will never have to face), there’s a large emphasis on fanfic (which I don’t do), and there’s a fairly hefty romance side plot. The book really worked for me overall, though. It was gently humorous, which helped, but I think a lot of what I connected to was Cath’s introversion and the going away to college experience. It doesn’t matter that my college experience was so different – I couldn’t help but be called back to my first semester and all the fear and excitement there. I remembered what it was like to meet these strangers I’d live with for a semester or more and have to learn how to get along with other people’s daily rhythms. There’s the fear and wonder with new classes, the adventure and tenseness of walking across campus for the first time… So yeah, it doesn’t matter that Cath is wandering through a Nebraskan campus complete with fields and animal pens and I was heading down a path in the woods that was sometimes blocked by moose – the essential college experience was the same underneath all the details. I think the book explored, well, two extremes of the college experience in an interesting, if somewhat black and white, way. The moral may have been a bit strong, but then, it’s a definitely a time we probably look back on ourselves and judge things a bit more harshly, examine what we should have done… Because college life, after all, is one place that many of us feel we started ourselves down one pathway or another (or, if you’re me, you keep adding more paths on…). The other two main subplots have to do with caring for someone with a mental illness – and this subplot was handled well – and dealing with a family trauma. I think that was also done well, but not in the way I expected at all. There’s usually a formula for that sort of thing, but a lot of it is neatly sidestepped so Cath can make her own way. It is super hard for me to do top ten favorite book lists for the year because my reading years feel so long. Things that I read way back in January feel eons ago (my perceptions of time have always been a bit strange). I'm going to try, though, by looking at my Goodreads 2013 challenge (which I mad. Tt also included novellas and graphic novels, though... Maybe I should up my challenge goal for each one of those I read this time... We'll see... Anyway I'm not counting graphic novels on my top ten list because I generally don't experience them in the same way that I experience novels. I kind of wish San Diego 2014 had been a full length novel, though maybe there wouldn't have been enough to sustain it that long. It was a really fun story -- so much so that every time I try to read something from its parent series I think, "Oh, this isn't San Diego 2014... Eh, I'll try to read it later." Now, the Shadow Unit series is really interesting. I've only read the first two volumes, but I keep meaning to read more... They're a creepy, fascinating collection of stories put together by a group of authors who decided to write as if they were doing a tv series so basically every few collections is a "season" with a crazy finale. (or so I presume) You can read them online for free here or buy the cheaply priced Kindle versions and so on. The stories are write by Emma Bull, Will Shetterly, Elizabeth Bear, Sarah Monette, and Amanda Downum, at least as far as I've got. They make it a big experience with the agnts having live journal accounts you can look at and all kinds of stuff if you want to immerse yourself more. Some of these books come before I started that booklikes site, so I don't have links to my reviews/ramblings about them, but I included them where I could. 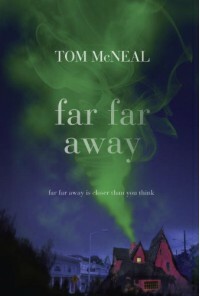 Far, Far Away is both a lovely modern fairy tale – full of tidbits from old Grimm tales – and a book full of impending doom. The whimsy and sweetness skips along mostly unaware of the heavy dread hovering over it – it’s something we get to know about, as the reader, because the narrator drops hints in the very opening paragraphs. I was afraid that this story would end terribly tragically. (a lot of my recent reading has gone that way) I’m not saying if the story does end on tragedy, but I will say that this turned out to be the kind of story where sad things happening won’t spoil the enjoyment. McNeal blends it all so wonderfully. And, of course, the fact that one of the main characters of the novel is the ghost of Jacob Grimm is great plus for the story! I think one of the most fascinating things about the book is how much it examines the power of stories in our lives. What sorts of things can become true just because we believe them? Or maybe they’re always true and we just have to remind ourselves of them… Or if they aren’t, perhaps they still pull us together and tie us together in interesting and wonderful ways. At any rate, it’s a lovely story and it’s too bad that I waited so long to read it! I borrowed this from the library, but I think this will be a book that I buy for my collection once I’m properly settled down again someplace. 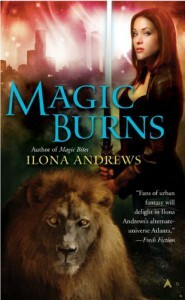 Another Strike For Team Ilona Andrews! Book three is nearly as good as the first two. The stakes -- in all ways -- seem to be rising dramatically and I'm wondering if the series is going to take us there or if it's one of those things that needs to be held off until the end of the series. I'm kind of hoping for the former -- a big arc for a few books, they relieve that tension, and then we move on to a new arc. We'll see. I just think their world is big enough for other grave threats, you know? 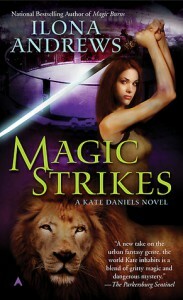 Kate Daniels continues to be a character I really enjoy, and I love most of her friends. However, this book didn't sit quite as well with me. There were perhaps a few too many things that didn't sit well with me -- ethics-wise. I get it, I really do, but I don't have to like it, right? Here's hoping book four doesn't go further down that path... (though there's a short story to read first!). I find the mix of moods in these books really interesting. On the one hand, there's a lot of humor, there's a little fluff. On the other other hand, there's deep world building and all the seriousness of an apocalypse. And on a third hand (hey, it works for the series -- you never know what is going to pop up!) there's a bit of grim darkness. Luckily, not enough darkness to turn me off -- the really grim stuff tends to. Book two of this series was a really strong entry for me, as well. It has all the things I loved in the first book -- the interesting characters, the world building, the mythology, and a protagonist I really like -- and it also just feels very real in some ways. Sure, there are werewolves and fishy smelling evil spirits with poisonous claws and plenty of amazing heroics and so on, but the people are... just people, inside. When they make poor decisions it doesn't feel like it's just to advance the plot or that we're supposed to ignore plot holes or that the characters just aren't allowed to make good decisions because then things would go too smoothly. Rather, we always get at least a little of an explanation -- enough to say, okay, I can see why that happened. This goes for the magic, too. Instead of leaving the reader to wonder why Kate can't waggle her fingers and make everything work, she thinks about how much easier it would be if she could except that it wouldn't work because... I like that. The author duo seems very aware of how their world works. I also really love the cast of characters and was glad that so many people from the first book showed up again -- in larger or smaller roles -- and how they all felt consistent. I'm wondering if, as I continue through this series (and I did buy book three right away and am considering starting it immediately) if I'll basically be entering a whole community each time I start one of the novels. What I mean is, a lot of times you follow a protagonist and maybe a love interest or a sidekick, and that's the one anchor between you and the story. But if these novels continue as the first two, each time I come into the book, I'm going to be surrounded by a whole group of people that I'm interested in knowing about and I understand how they all fit together... This obviously isn't the only series that does this, but it does it better than most books I've read in a while. I'm not entirely sure why I am loving this series so much at the moment. Usually that happens when I really identify with the protagonist, but I can't say that I feel very much like Kate Daniels at all!